AVI is Audio Video Interleave which can contain both video and audio data in a container that allows simultaneous audio-with-video playback. AVI became a container format that can include almost any video compression format, including RealVideo, Motion JPEG, Editable MPEG, MPEG-4 video and so on. However, the AVI incompatibility is usually caused by these complicated compression schemes. People are still using AVI even AVI is now considered outdated. However, if you want to play AVI files on Mac, Apple TV, you may probably encounter the format incompatibility problem. Thus you need the best AVI converter for Mac/Windows. Here give you two versions of AVI converter—Video Converter for Mac and Video Converter for Windows. They enable you to convert files in AVI to WMV, MP4, MOV, M4V, VOB, FLV or any other popular videos and vice versa. The AVI converter even allows you to convert AVI to MP3, WMA or any other audio format with ease. When need AVI Converter for Mac/Windows? 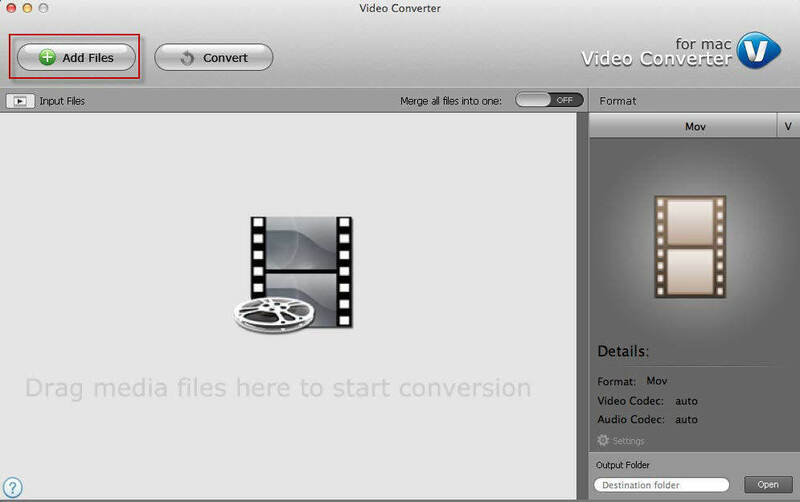 You may need to use Video Converter for Mac to convert AVI to videos in other formats, and vice versa. There are some situations you need to solve the format incompatibility problems. Convert AVI to MOV: You want to play AVI videos on Mac but just fine they're greyed out since MOV is the compatible format on Mac OS X. Convert AVI to MP4: Want to play AVI on your mobile devices like iPhone, iPad, or iPod? MP4 is the supported format. Convert AVI to MP4 and enjoy the high compression and high quality output. Convert AVI to FLV: Need to share or upload AVI files on sharing website like YouTube and Facebook but they just support FLV files. You can crack the incompatibility issue by converting AVI to FLV. Convert AVI to VOB: Want to convert AVI to VOB or DVD format to burn a DVD of it and then play it on DVD Player. Convert AVI to WMV: You want to convert AVI file to WMV for a maximum compatibility with certain Windows program or for editing in a WMV-based program. Convert AVI to iMovie: Your AVI can be displayed in QuickTime but get greyed out in iMovie. iMovie only reads AVI that both the audio and the video were compressed by using a codec that iMovie can recognize. Convert AVI to QuickTime: If your AVI files are encoded with a codec that QuickTime can't recognize, like DivX, XviD, you'll need to convert AVI to MOV or other iOS and Mac OS compatible formats. Convert other videos to AVI: AVI is playable on most portable devices like Nokia, Xbox, Blackberry, PSP. You may want to enjoy your WMV, MOV, FLV, VOB, MP4 video on these portable devices but just find them incompatible. Thus you need to convert them to AVI to crack the format incompatibility. How to Use Video Converter for Mac/Windows to Convert AVI? For Mac users, go to the detailed tutorials of AVI converter for Mac by Video Converter for Mac. On the other hand, for Windows users, turn to how to convert AVI in Windows 8/7/XP/Vista here. Step 1. Add AVI files by clicking "Files" or drag them to the interface directly. Step 2. Click format combo box to select an output format, like AVI to WMV, MP4, MOV, M4V, VOB, FLV etc. Step 3. Start to convert AVI files. Click "Open" to choose an output folder. Then click "Convert". Tips:This Video Converter for Mac/Windows can edit videos before the conversion. If you want to edit an imported video, select it and click "Edit" button on each video item bar, and then make the videos your own styles! Thus you have done the conversation of AVI converter, try to use Video Converter for Mac/Windows freely.